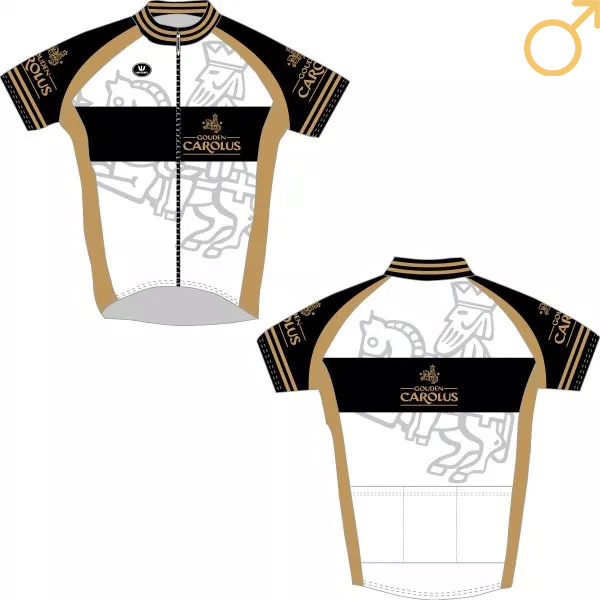 This Gouden Carolus cycling jersey is made of polyester. 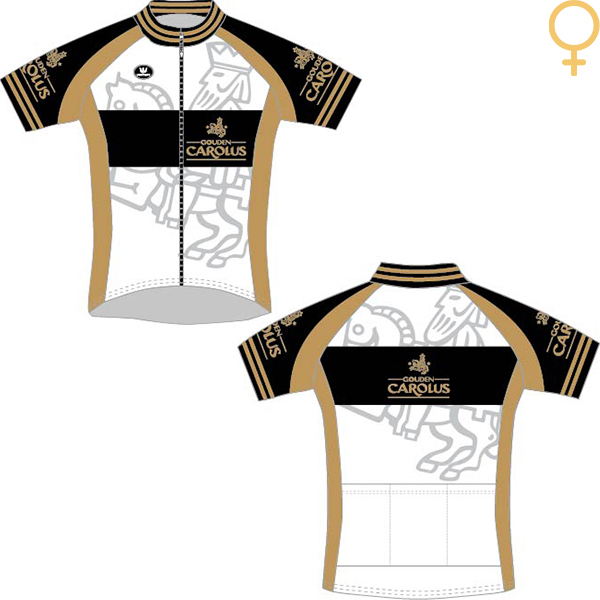 Because of its ventilating properties, this fabric is ideal for athletes. It also retains its shape and colour for a long time. It has a zipper on the front so it can be opened when you are warm and it’s also easy to take off. The 3 rear pockets are handy for long rides when you have to take more things along and they easily hold your phone and keys. Created in collaboration with Vermarc Sport. Wash at 30°C.